The non-binding opinion issued Wednesday by the Advocate General of the European Court of Justice on the fisheries agreement concluded between Morocco and the EU raises eyebrows and even suspicion. Several international experts wonder why Belgian legal advisor Melchior Wathelet would choose to take an irrational stand, trying to undermine the extensive ties EU has with Morocco in trade, political and security matters. Is it just a matter of personal opinion from an Advocate General who is supposed to be impartial, apolitical, abiding by the judiciary code of conduct? Or is it a worrying drift serving a secret agenda? Some analysts sense a vindictive streak as Mr. Wathelet lost his case against Morocco in September 2016 when the European court overturned a verdict on farm deal with Morocco in the appeal lodged by the European Union. The ruling dealt a hard blow to the Polisario separatists, backed by Algerian lobbyists who tirelessly seek to torpedo Moroccan-European relations by all means. So, after he failed in his first attempt to torpedo the Morocco-EU farm deal, the same Advocate General of the European court resumed his offensive hoping to succeed this time. But his second attempt is doomed to failure as he reproduced the same false and twisted arguments, which had already been set aside by the European court due to lack of understanding of facts on the ground and geopolitical risks. He tried in vain to prove his point by defending the complaint lodged by a UK-based association supporting the Polisario separatist group, claiming the UE Fisheries deal signed with Morocco does not benefit the local inhabitants of the Sahara and breaches their rights. But all these claims are baseless and false. In a first reaction made by the EU to Wathelet’s remarks, a spokesperson for Federica Mogherini, the current EU High Representative for Foreign Affairs and Security Policy, describe Morocco as “a key partner” with whom the Union “developed a rich and diversified partnership for several years”. “It is our desire not only to preserve the privileged relationship that we share, but also to strengthen it further”, went on to say the spokesperson. Morocco has not so far reacted to the opinion of the Belgian legal advisor, remaining composed. According to some observers, such composure shows the Moroccan government is confident as regards its rights and the legitimacy of its sacred causes. Furthermore, what arouses further suspicion over the fairness of the advisory opinion of the Advocate General is its timing. 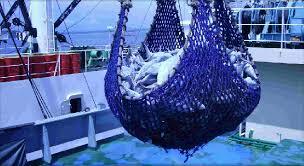 It strangely coincides with the EU decision to open talks with Morocco on new fisheries protocol. The current, 4-year protocol to the Fisheries Partnership Agreement will expire on 14 July 2018. In 2017, both the Commissioner for Environment, Maritime Affairs and Fisheries Karmenu Vella and the Moroccan Minister for Agriculture and Fisheries Aziz Akhannouch expressed their intention to renew this instrument, which is essential for both parties. Besides, an independent evaluation study made public last December underlines the positive impact of the current protocol in terms of sustainable fishing and its contribution to the socioeconomic interests of the fisheries sectors both in the EU and in Morocco. The evaluation also highlights the clauses supporting economic development and benefiting local population, such as landings in ports and embarkation of local seamen. About 120 vessels from 11 EU countries (Spain, Portugal, Italy, France, Germany, Lithuania, Latvia, The Netherlands, Ireland, Poland and United Kingdom) are concerned by the Fisheries accord with Morocco. According to some analysts, the opinion of the Advocate General could eventually pose a problem to the EU, but not to Morocco. In the worst-case scenario, the North African country can replace the European fleet operating in its waters by others if it chooses not to renew fishing accord with the EU. As to the financial compensation Morocco receives from the European bloc for the deployment of its fishing fleet in the country’s waters, it is well below the European countries’ gains. Written by: Jaber Ali on January 11, 2018. Posted by Jaber Ali on Jan 11 2018. Filed under Headlines, World News. You can follow any responses to this entry through the RSS 2.0. Both comments and pings are currently closed.